Very excited to be heading tomorrow to Great Malvern to do a pre-concert talk about the Schumann Violin Concerto with conductor Ken Woods – whose concert with the English Symphony Orchestra includes this haunting work as centrepiece, with soloist Zoe Beyers. We are at Great Malvern Priory, talk at 6.30pm, concert at 7.30pm. 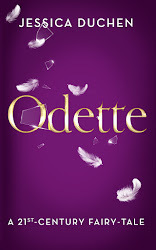 Booking here. Incidentally, I will also be presenting a concert themed around Jelly d'Arányi, World War I and World War II for the Oxford Philharmonic on 1 June, including the concerto alongside music by Bartók and FS Kelly. When I first heard the story of how Robert Schumann’s Violin Concerto came to light in the 1930s, I nearly fell off my chair. This extraordinary piece, the composer’s last orchestral work, has had a chequered existence. After one airing by its intended soloist, Joseph Joachim, it languished in obscurity for nearly eight decades. Then in 1933 Joachim’s great-niece, the Hungarian violinist Jelly d’Arányi (one-time muse to Bartók, Ravel and even Elgar) claimed to have received spirit messages via a Ouija board begging her to find and perform it. 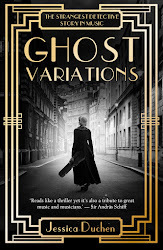 So bizarre was her quest – extending to the highest echelons of the Third Reich’s administration – that I’ve turned it into a novel, entitled Ghost Variations. The reality is admittedly stranger than fiction. After Schumann’s death, his widow, Clara, put the concerto aside, fearing it might betray its composer’s increasingly unstable state of mind. 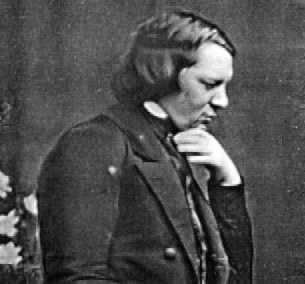 Always prone to extreme highs and lows, Schumann may have been bipolar, or suffered from tertiary syphilis, or possibly both; academics remain divided on the nature of his malady, though most incline towards the syphilis explanation. In February 1854 he suffered a devastating breakdown and tried to drown himself in the Rhine. Having survived, he requested to go into a mental hospital. He spent his final two years in an asylum in Endenich, Bonn, and died there in July 1856. Thereafter, it was up to Clara to decide which of her husband’s unpublished works should see the light of day. In consultation with her two right-hand men, Johannes Brahms and Joachim, she took time to make up her mind about the concerto. Finally she elected not to issue it. Joachim’s heirs deposited the manuscript in the Prussian State Library, placing what was thought to be a 100-year embargo on the work. Schumann’s daughter, Eugenie, insisted that in fact her mother wished it never to be played. Jelly d’Arányi was 14 when her great-uncle Joachim died. Her elder sister, Adila Fachiri, likewise a celebrated violinist, had been Joachim’s pupil in Berlin. Fachiri was, as it turned out, a psychic “sensitive”, able to receive at considerable speed and intensity detailed “messages” in the then-fashionable Glass Game (ie, a home-made Ouija board). Although d’Arányi herself claimed to have received the initial message, she rarely participated in such sessions. It was largely Fachiri and her friend Baron Erik Palmstierna, the Swedish Minister in London, who drove the search thereafter; Palmstierna himself unearthed the manuscript in Berlin; and his book Horizons of Immortality, based on “messages” interpreted by Fachiri, broke the news of the concerto’s revelation upon an incredulous and cynical public in September 1937. Others, though, also had a vested interest in reviving the piece. Once the concerto was found, its publisher-to-be, Schott, sent a copy to the young superstar violinist Yehudi Menuhin, who longed to give its modern premiere as his comeback after a year’s sabbatical. Meanwhile, the Nazi administration was alerted by the enquiries from England to the fact that something interesting was sitting in the Prussian State Library. Having investigated for themselves, they elected to override any alleged embargoes, as well as d’Arányi’s claim to priority. Germany’s most popular violin concerto, the one by the Jewish-born Mendelssohn, had been banned; Goebbels wished to promote Schumann’s suppressed work as a great German violin concerto by a great German composer – performed by a German soloist, Georg Kulenkampff. Menuhin, in the US, was relegated to second place and d’Arányi, in London, to third. She finally gave the UK premiere in February 1938. There was little chance, though, that the Nazis would persuade the public to love this concerto as much as they did Mendelssohn’s. To some – including the violinist Patricia Kopatchinskaja, whose new recording of the work is out next week – the work can represent a testimony to a mind tragically dislocated from reality. And even if you don’t feel it necessarily betrays signs of incipient insanity to such an extreme degree, it is certainly complex, formally intriguing, filled with struggle, difficult to pace in performance. Either way, it contains much wonderful music. Its slow movement is heartbreakingly beautiful – sharing a shred of melody with Schumann’s last piano work, written soon afterwards, entitled Geistervariationen (Ghost Variations). Schumann believed that the theme for the piano piece had been dictated to him by the spirits of composers beyond the grave – forgetting that he had already written it himself. Today the Schumann Violin Concerto is finally rising to prominence. Given chances to shine in the hands of today’s leading soloists, it proves that its genuine soul, passion and intensity can ride high, despite its composer’s tragic fate. And even if Jelly d’Arányi did not quite give its first 20th-century performance, her effort on its behalf saved it from oblivion. Thanks to her, we can appreciate and assess it for ourselves.